Infineon Technologies Manifold Air Pressure (MAP) Sensors are based on the capacitive principle. The MAP is an essential parameter to compute the air-fuel ratio given to the engine. 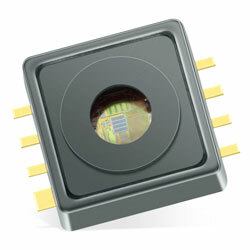 These sensors are surface micromachined with a monolithic integrated signal conditioning circuit implemented in BiCMOS technology. The MAP sensors turn a pressure signal into an analog output signal. These sensors offer high precision sensing, broken wire detection, ratiometric analog output, clamping, automotive qualification, and large temperature range. Typical applications include automotive, industrial control, medical, consumer, weather stations, and altimeters. The company’s KP275 MAP sensor is an accurate digital Turbo sensor that serves to achieve the targets of new CO2 legislative demands. This digital MAP sensor offers high quality and long lifetime and operates in harsh environments. The digital MAP sensor offers integrated signal processing for an external temperature sensor, SENT protocol interface, and real 12-bit temperature and pressure resolution. Typical applications include automotive, industrial, consumer, and medical fields.